Yet another away game our sixth in a row. This week the PRATS will break through the 4000 miles barrier, already over 75% of the season’s mileage under our belts. We will have to google map Latimer Park it’s been a while since we were there. Michaela Strachan has been up there doing a bit of wader watching in the perfect habitat of reed beds. Although it’s not a Bittern you can hear booming in the distance, it will be groundsman grumpy Graham having another funny tern. “How many more times have I got to fork this bloody pitch, we’ve got more sand than the sodding Gobi desert” he grunted. We don’t often play footy surrounded by the countryside of Berks, although Sluff are Berks, they play in Bucks. I think Maidenhead may have been the last time. This weekend we have an easy drive, retracing half of last week’s steps before we take a sharp right just before Newbury. Hungerford is a new club for the Poppies to face and a town with a few decent alehouses for the PRATS of frequent, but before we get there: Our first port of call is the Five Bells in Wickham, home of the Innformal brewery; they serve 9 ales and 8 ciders all on hand pump, yet another brewery tap. Next up and going slightly back the way we came; just off the M4 is the Tally Ho in Hungerford Newton, looks as though it serves a good selection of local ales. 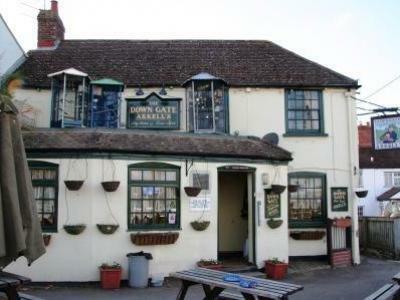 This is a community run pub, so they deserve as much support as possible, I’m sure we’ll make a decent contribution. 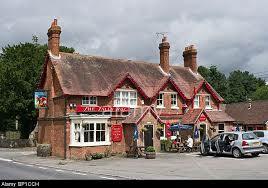 Once we get into Hungerford we could try the other Innformal pub the John 'O' Gaunt. Next up, an Arkells pub the Downgate. Will we actually get a pint this time after the disappointment in Cirencester? The Three Swans Hotel serves locally brewed Ramsbury ales so might be worth a visit, especially as they also serve Fullers London Pride, I know one or two Poppies supporters like a pint of that. Most of the pubs in the town are within 15 minutes’ walk to the ground. Not sure if the clubhouse serves any ales. After the game we are heading to Headington, Oxford. We are going to the Masons Arms home of Old Bog brewery, a new one for the PRATS and yet another brewery tap.